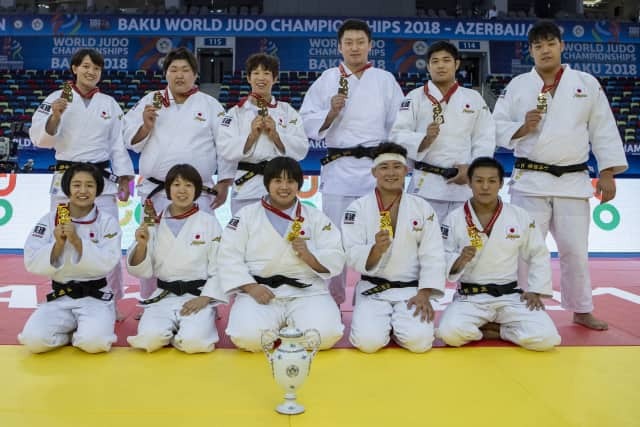 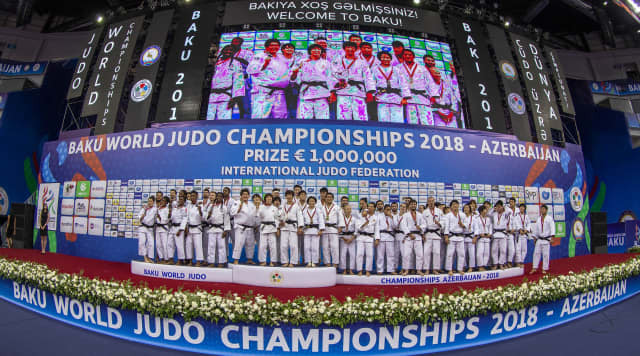 Japan retained their mixed team world title with a 4-1 victory over France in the final on the last day of the 2018 World Judo Championships. 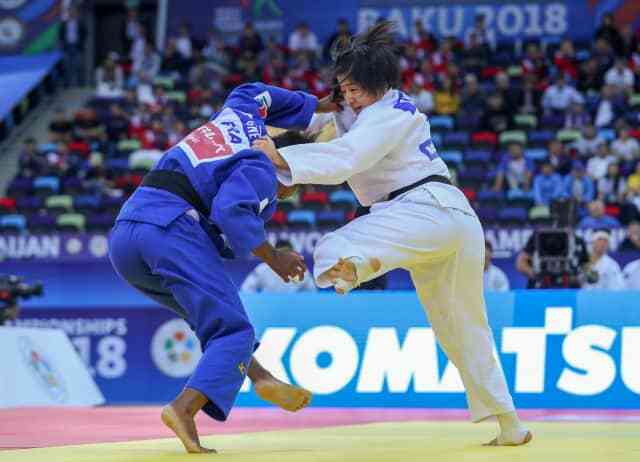 In the first semi-final Japan routed the unified Korean team 4-0 while in the second semi-final France surged past Russia 4-1. 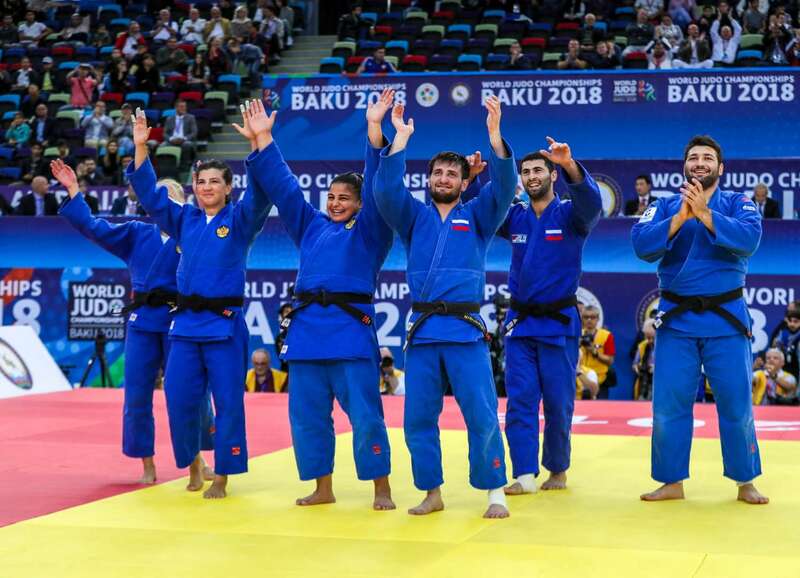 In the first bronze medal contest Russia (RUS) outfought Azerbaijan (AZE) to win 4-1. 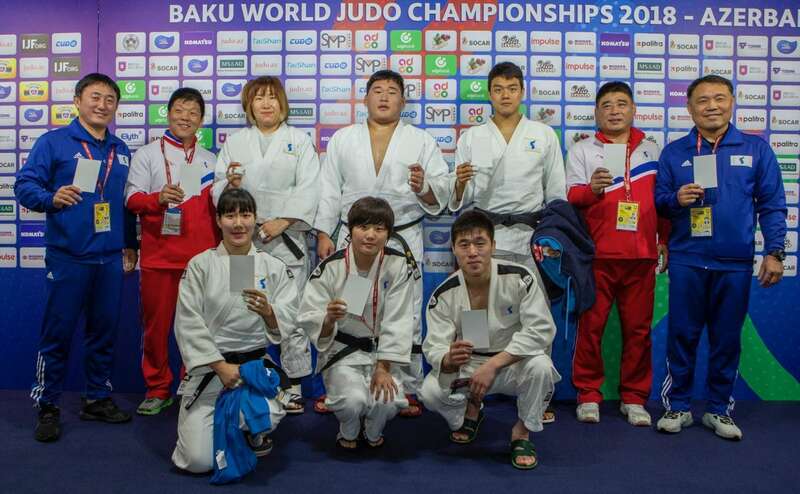 +90kg: World silver medallist Ushangi KOKAURI (AZE) was held down by Inal TASOEV (RUS). 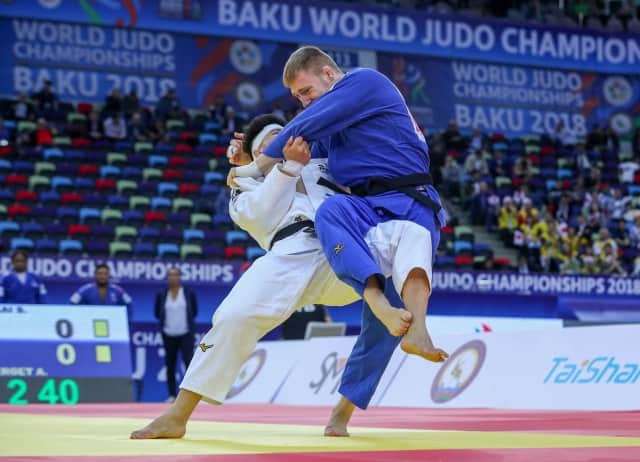 The Russian, who was only in Baku to compete in the team event, threw with an o-uchi-gari and held down the Azeri to give his country the lead. Russia 1 – 0 Azerbaijan. 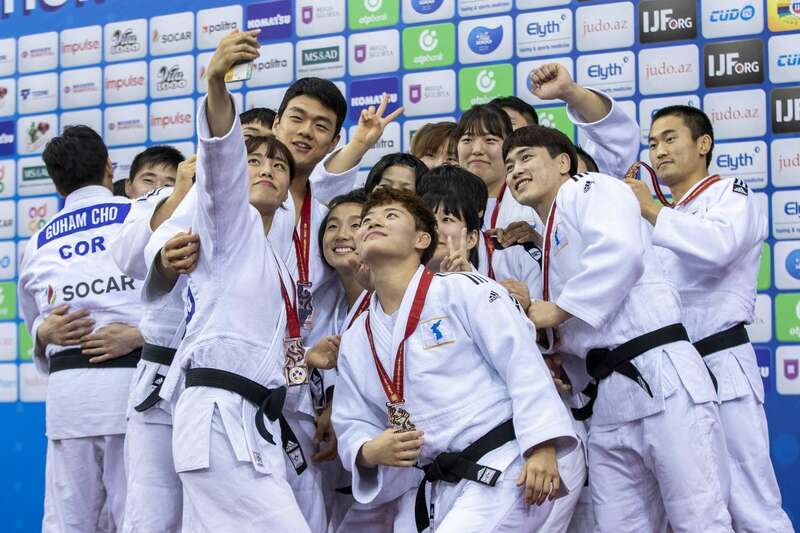 In the second bronze medal contest the unified Korean (COR) team whitewashed Germany (GER) 4-0.